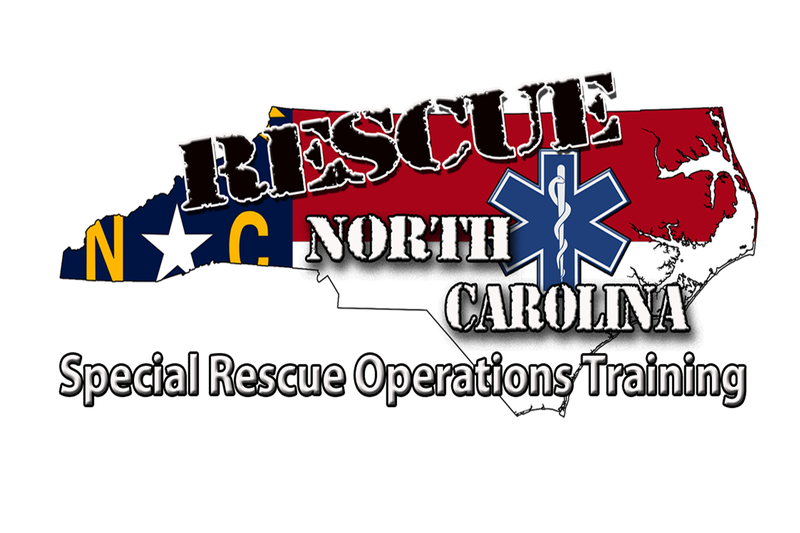 Rescue 3 Technical Rope Rescue Courses – Rescue North Carolina LLC. 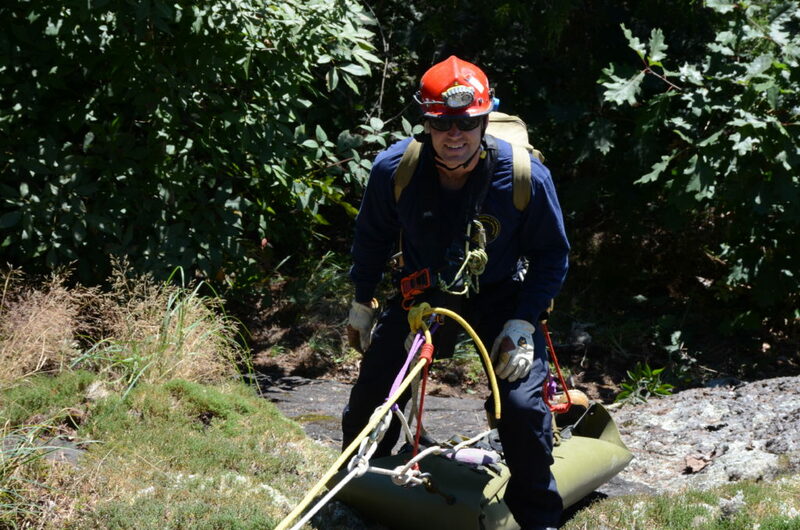 This 40-hour (5-day) program, developed by Rescue 3 International Inc., is considered to be the premier source for rope and swiftwater rescue training. This course can be offered at a local training tower, industrial plant, military installation, or wilderness environments. This five-day course consists of day and night rescue situations rescuers may encounter involving low and high angle environments. Skill sets acquired through the completion of this course will complement all aspects of technical rescue and tactical operations. The TRR-TL course is a physically challenging class. Students with extensive health concerns are discouraged from attending this course. 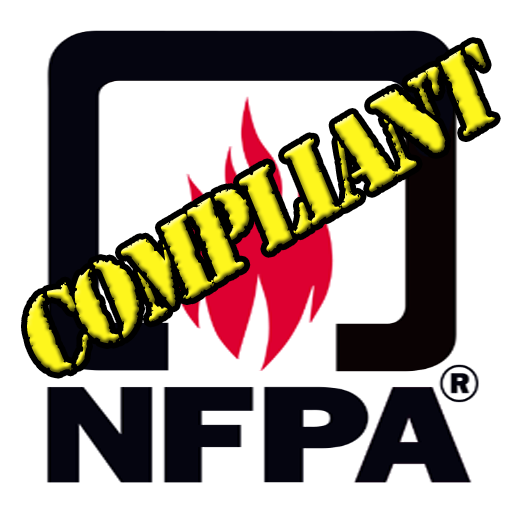 This course is one of three classes needed for personnel desiring to meet requirements of the NFPA 1670 and 1006 Standards for the technician level for rope & water rescue. This is an objective-driven course, class times will be will promptly adhered and will dismiss when all objectives for each training date have been completed. 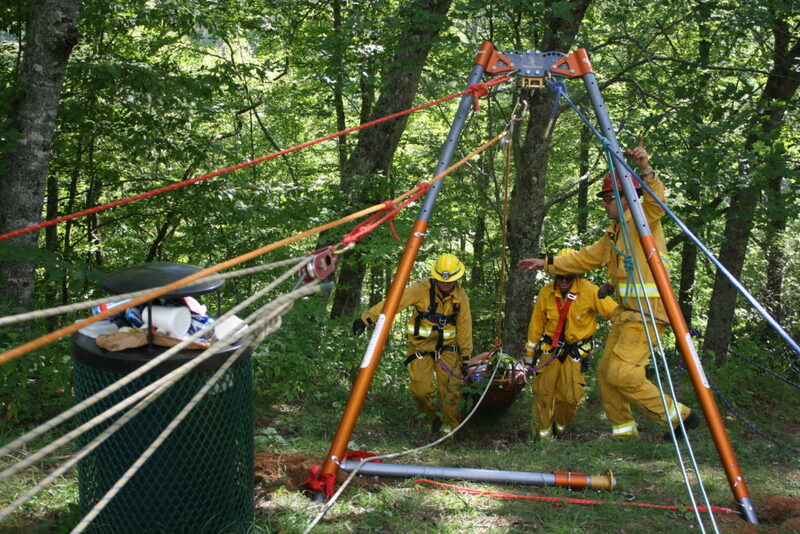 Because the TRR is a NFPA compliant course, students demonstrate the requisite skill or knowledge of all required skills within the course in order to receive Technician Level certification, students unable to perform these skills will be given the option to downgrade towards the Ropes; Operations level certification or make up the skill in another course. Previous rope rescue training is preferred but not required. This 8-hour course is designed with a focus on low angle operations.The course equips first due engine & rescue crews with the skill sets required to safely and efficiently conduct patient access and extraction during low complexity incidents such as vehicle over the embankment rescues. Central to the course is the introduction of the latest in proven international and industrial tools & practices, offering significant efficiencies in instruction time, field deployment times and student retention. Due to the limited information, students do not need to possess prior rope knowledge and skill sets associated with general rope rescue. 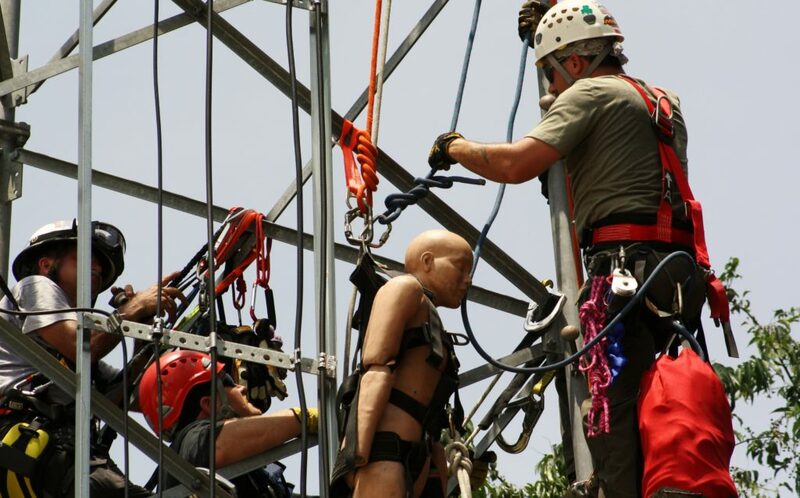 This 24-hour course is designed to prepare emergency responders to conduct rescues in a tower environment. Topics considered include equipment, ropes and rigging, safety considerations, scene management and organizations, simple pick-off in a tower environment, lowering, extrication of entangled workers, team-based rescue and litter management in a tower environment. 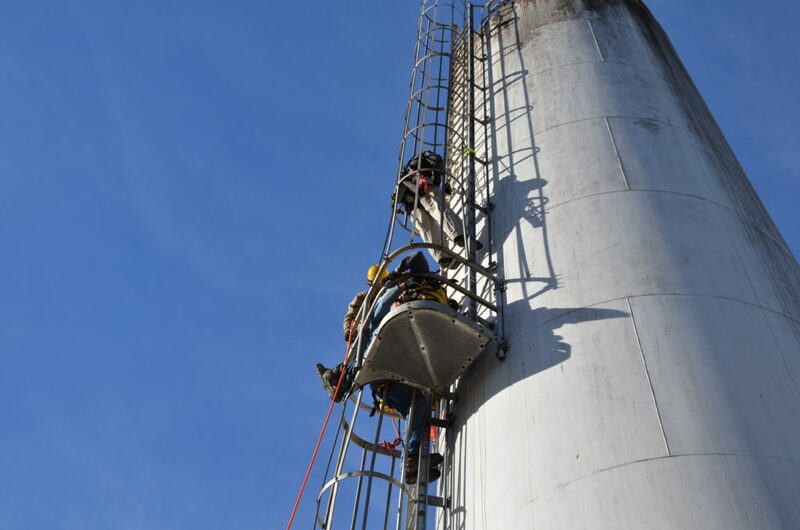 Our tower safety & rescue program has been designed to provide you with an introduction and working knowledge of tower operations. Tower scenarios can include Water Towers, cell & media towers (lattice or monopod) for all types of students. We strongly encourage our students seeking tower rescue certification to complete a NFPA rope rescue technician program in order to be prepared for the challenges faced during elevated rescue incidents. Falls are the number 1 killer in the construction industry and the number 2 killer in private industry, according to the Bureau of Labor Statistics. The OSHA and NFPA compliant Industrial Rope Rescue course is designed to prepare companies and workers at height in the occupations covered by OSHA that require Fall Protection and Fall Arrest. 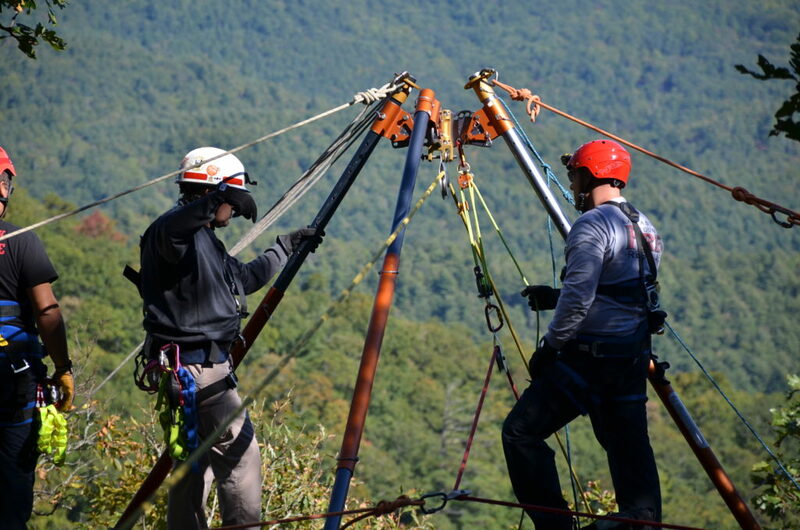 The IRRT program provides training and education on the safety requirements for personal fall arrest systems, guidelines for minimum requirements for a Managed Fall Protection Program, Safety requirements for positioning and travel restraint systems to help prevent falls, and safety requirements and Hands-on training for Assisted-Rescue and Self-Rescue systems (ANSI/ASSE Z359.4). 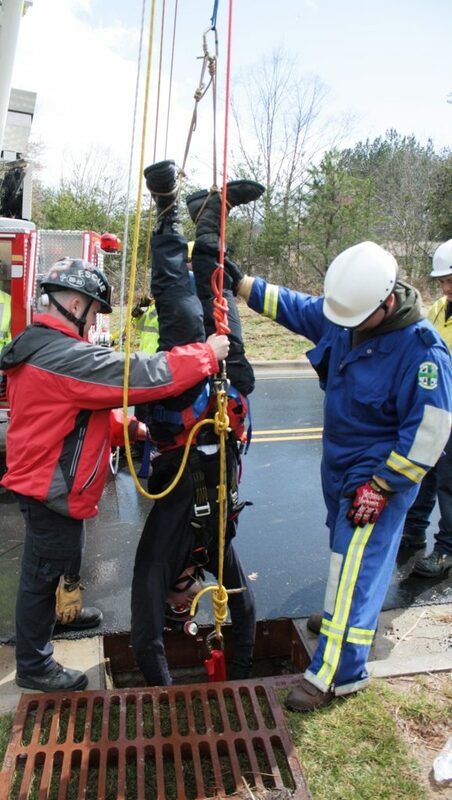 This course 3-day is designed to improve the safety and productivity of emergency responders faced with responding to confined space emergencies. The focus of the course is on hazard identification, safe operations and rescue skills. The course covers basic and specialized equipment, rope and rigging, safety considerations, scene management and organization, lowering and raising systems, patient packaging and litter management in confined space environments. The classroom & practical portions of the course will be held at the Mountain Retreat & Learning Center in Highlands, NC on NC Hwy. 106 (See directions below) The initial class session addresses the fundamentals of rope rescue, new technology, and specialized techniques in rope rescue. Remaining class time involves conducting hands-on scenario-based training where students apply their newly acquired skill sets into a realistic applications involving intensive low and high angle rescue skills. Day 5 0800-1800 Mountain Retreat Lrng. Cntr. Training locations may vary so students will need to provide their own transportation. 25’-30’ length of ½” Static Kernmantle Rope for Safety Lines or 1” tubular webbing. The Rescue 3 Western NC; TRR-TL course is conducted on the grounds of the Mountain Retreat and Learning Center located at 3872 Dillard Road (Highway 106), Highlands, NC 28741,The retreat is located along the NC, SC, and GA state lines and offers a spectacular view of all three states from a 5000’ elevation. 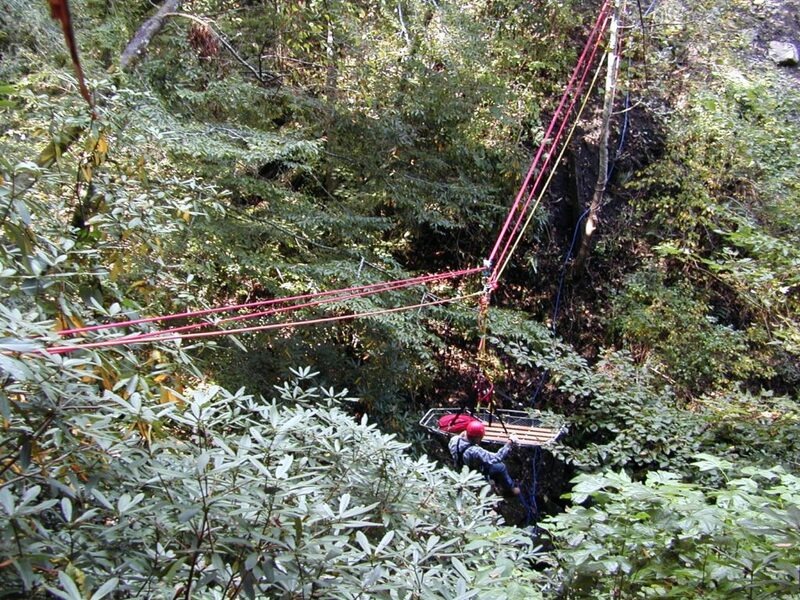 Situated high atop the Southern Appalachian Mountains and surrounded by the Nantahala National Forest, this location allows extensive access to area waterfalls, state parks, and hiking areas where potential rescue events may occur. The center is located 4-miles southwest of downtown Highlands, NC and 10 miles east of Dillard, GA on GA Highway 246/NC Highway 106. GPS is not always reliable. From Asheville/Knoxville: Take I-40 West from Asheville (1½ – 2 hrs.) or East from Knoxville (3 hrs.) to Exit 27 at Clyde, NC. Follow the signs for US 23/441 South towards Dillard, GA.
You will turn left at the Dillard stoplight (HWY 106) then go 10 miles to The Mountain. From Atlanta: Take I-85 North to I-985 North which later becomes US 23/GA 365 and becomes 23/441. Follow 23/441 North to Dillard. (2½ – 3 hrs. depending on traffic). Turn right at the light on GA 246, which will become NC 106 at the NC State line. From the light in Dillard to The Mountain 1s 10 miles. From Charlotte/Greenville: Take I-85 South. Just before the GA line, take Exit 1, Rt. 11 North to US 76 West to Clayton, GA. Turn right on 23/441 North and proceed to Dillard. Turn right at Dillard stoplight onto GA 246, which will become NC 106 at NC State line. The Mountain is 10 miles from the turn at Dillard. 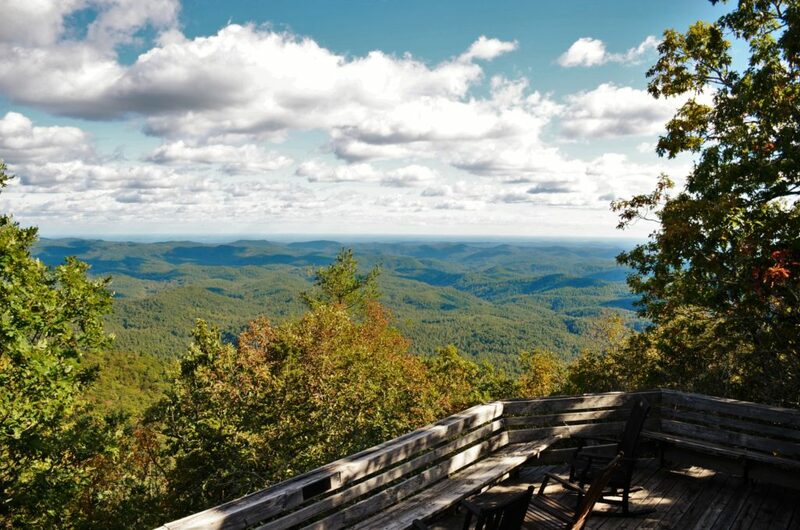 The Mountain is 2 hours driving time from the Asheville airport and 2.5 hours from the Atlanta airport. Rental cars are the easiest/most cost effective way to travel from the airport. If you have a large group and would like to inquire about a shuttle service. Lodging and meals for the course will be hosted by the Mountain Retreat & Learning Centers, Inc. in Highlands, North Carolina. 5 nights of overnight bunkhouse lodging including linens. Bring an extra towel just in case. The MRLC has implemented a new Online Reservation system that each student or group must complete in order to secure a room on the premises and meals during the class. The price for lodging for 5 nights and meals is $400 per student. If this link does not work, go to the MRLC website directly and click on the online reservation button. IMPORTANT!! 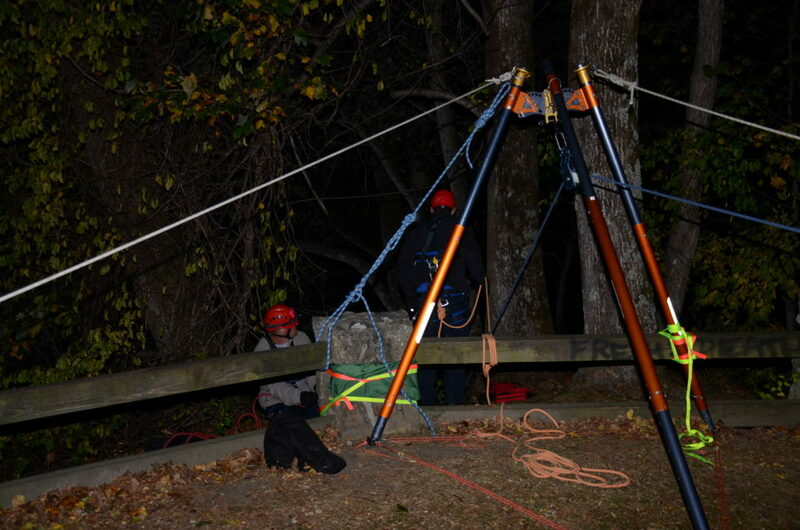 During the registration you will see Rescue NC Technical Rope Rescue as the group name. Choose the “Bunkhouse” option if you are staying on site. This price includes all of your meals, as well. You will need to bring linens or sleeping bag with you if you do not choose the linens option. The bunkhouses have bunk beds and a private bedroom with two twin beds. There is one bathroom per bunkhouse. Your registration at the center also includes your meals and snacks throughout the class. During your registration, you must complete the meal section to identify any specific meal or nutrition needs you may have. Payment in full is required at the time of lodging registration. The Mountain will assign guests a roommate if one is not requested. PLEASE MAKE YOUR ACCOMMODATIONS IMMEDIATELY!!! Guests at The Mountain are housed in cabins with a private bath and large, airy windows and are in a bunk bed style arrangement. Cabins have a variety of configurations – and feature rocking chair porches with spectacular views of Georgia, North Carolina, and South Carolina all from your porch! Linens, blankets, pillows and towels are provided. Each living space is heated and includes a bathroom. There are no phones or TVs in living accommodations by design, but phones are available on our campus and incoming messages are delivered to guests by Mountain staff. There is wireless internet access throughout the retreat.